Chichester Property News: Is tax just too taxing for landlords? The self-assessments were in last week and the late fines were avoided….right? 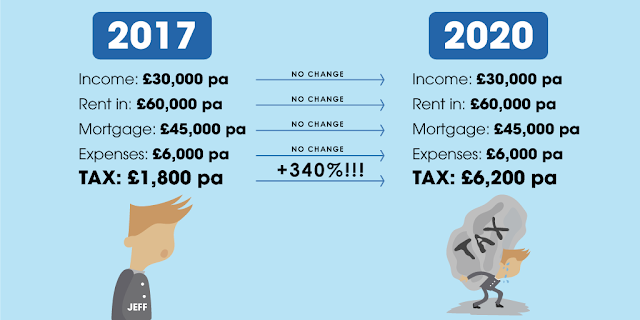 Landlords will have noticed that their normal ‘rent minus finance costs & other expenses = profit’ calculation has gone a little awry this year. The reason for this is the mortgage tax relief changes that have started to bite. 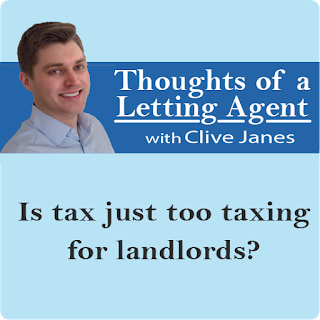 For the 17/18 tax year only 75% of a landlord’s finance costs could be taken into consideration, with a tax ‘credit’ substituted for the rest. For those landlords thinking it didn’t affect them too much, it might be wise to re-calculate what your tax liability will be based on the rules for 2020 and beyond…when none of the finance costs are deductible and all of them are instead subject to the 20% tax credit. The biggest issue this raises is it artificially increases your earnings in the eyes of the taxman. That’s pretty important when it comes to which tax band you fall into and thus the rate of tax you pay. It can also have knock-on effects when it comes to claiming certain benefits or repaying certain loans. Consider Jeff, who is self-employed and earns £30,000 per year. He also owns five rental properties, which act as his pension. He receives £60,000 a year in rent, meanwhile his mortgage costs are £45,000 a year and other expenses come to £6,000. Whilst this means he makes a modest £9,000 a year from his rental properties, he thinks that’s ok as he’s ‘investing for his future’. Last year Jeff would have paid £1,800 income tax on his rental profits (an effective rate of 20%). From 2020 the same scenario would see him pay £6,200 i.e. an effective rate of more than 68%! It actually gets worst than this for Jeff, as his new ‘income’ of £84,000 (as far as the taxman is concerned) will see him become completely ineligible for child benefits, whilst the student loan office will up his loan repayments just for good measure. 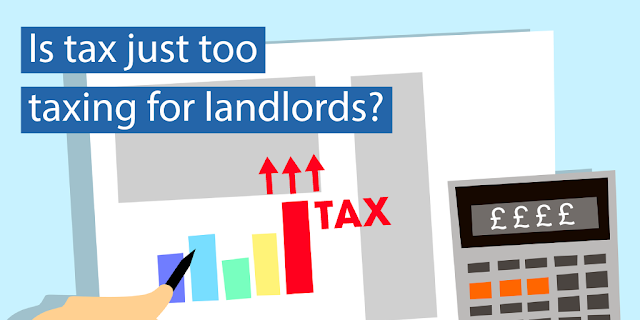 This may seem like a unique set of circumstances, but it will actually be very common for landlords to be caught in at least one of the traps the new taxation regime creates. Of course, for those landlords without mortgages it will make no difference, but for the majority of landlords who use buy-to-let mortgages they will find themselves worse off. So, what’s the upshot of this? Some landlords are already exiting the market as they’ve calculated it just isn’t worth it for them anymore. Whilst that may create some opportunities for people looking to buy, it will mean a further reduction in the number of properties available to rent and, as a consequence, an increase in rents for those that remain. If you’re a landlord and would like me to review the health of your rental portfolio, please call me for a free chat to see how you might be affected by the changes.